Incorporating Kratom Tincture into medicinal and herbal remedies is a timeless practice that provides exceptional benefit to the mind and body of the user. Tinctures are medicinal extracts suspended in alcohol solutions. This liquid formulation provides an intense concentration for a safe and effective dose of active Kratom alkaloids. Usage by the dropper full eliminates the complications of preparation and measuring doses. Convenience and potency are major benefits of this variety. However, it is more expensive than powders or resins. The preparation of medicines has involved the use of alcohol for years upon years. Alcohol is used as an agent of extraction and preservation in medicines. 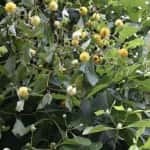 Age old usage by apothecaries and medicine men entailed the dissolution of specific plants into alcohol solutions to uncover their properties health enhancement purposes. Present day pharmacies and the drug aisles of supermarkets are furnished with herbal tinctures for an array of disorders. Kratom Tincture integrates twenty-five percent ethanol alcohol with leaves from the Kratom tree, that is also called Mitragyna Speciosa. The leaves have an abundance of natural alkaloids, which are potent compounds that interact beneficially with systems in the human body. The potency of all Kratom Tincture is greater than ordinary Kratom powder made from mashing the leaves. Full spectrum liquid Kratom tinctures are up to twenty times more potent than dry powder. This fact warrants the use of smaller doses for the full effect. Two droppers full of Kratom liquid extracts provide a stronger dose than regular Kratom Powder. The tincture formulation can be taken easily with no preparation or measuring requirements. It is dropped directly under the tongue and followed with water or dropped into water or some other liquid to conceal the bitter taste. There is a rapid onset of the full effect, with no gastrointestinal disturbances. The body and mind experience intense effectiveness from this formulation over the powder form. It has exceptional mobility for use on the run. Open the bottle, and squeeze any liquid in the dropper back into the bottle. Dip the empty dropper into the bottle, and perform one fast squeeze. This squeeze will fill the dropper to the halfway or three fourths point. This amount is equivalent to a dropper full. To take using the sub lingual method, lift the tongue to empty the dropper contents underneath, with one squeeze. Avoid swallowing to allow the tincture a natural and rapid absorption into your bloodstream. Although, swallowing will deliver the full benefits as well, but it takes a few extra minutes for this. One to two full droppers is a potent enough average dose for most users. 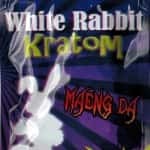 There is the assumption, when users consider the purchase of a bottle of tincture, that this form is more expensive than regular Kratom formulations. 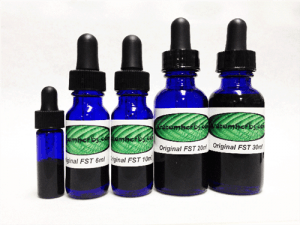 Online vendors offer the tinctures for sale at twenty-five dollars or more for a small bottle. Although the initial cost seems more expensive, it balances out due to the smaller doses needed for the full benefit. 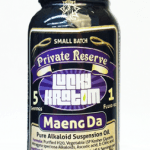 The six doses per bottle are equivalent in value to the five average doses in an ounce of dry Kratom powder or crushed leaves. There is still the possibility to obtain economical online deals, even with the comparable prices of Kratom tinctures and powders. The key is to buy your tinctures in somewhat larger quantities. 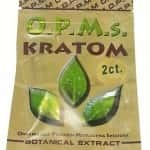 For illustration purposes, consider that Quick Kratom supply three-packs of Full Spectrum Kratom Tincture for just under forty dollars. This pricing format translates into a significant savings per dose compared to the powder form. Consumers have to make the decision of which Kratom form to use based upon the better choice for desired results. 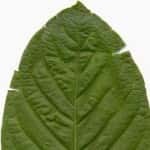 Many users prefer to cycle several consumption methods with Kratom in order to break the routine, and reduce the occurrences of physical tolerances. Kratom tincture is one of the easiest ways to enjoy the benefits of this plant for your state of mind and health.